Book all hotel rooms through SelectUSA. Please do NOT book directly with the hotel. 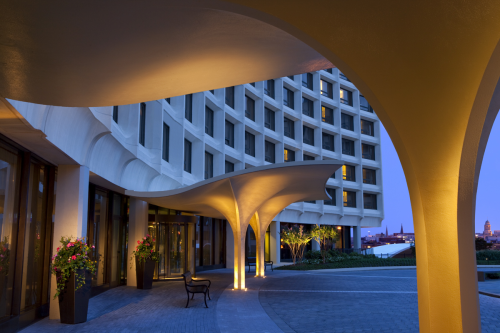 SelectUSA has confirmed a room block within the host hotel for approved attendees. Hotel rooms are only available to attendees, sponsors, and exhibitors who have applied and have been approved by SelectUSA to attend the Investment Summit. The hotel rate is valid until the room blocks are sold out or until 11:59 p.m. EDT on May 17, 2019. Experient is the Official Housing Provider for the 2019 SelectUSA Investment Summit. Improper solicitation of hotel reservations from any company or housing provider other than Experient is not approved. Reservations made by unaffiliated organizations may appear to be for lower rates, however they may be illegitimate, not have the rooms to sell, have unreasonable cancellation or change penalties, or be completely non-refundable. Please be aware of, and report any unauthorized solicitation to your organization or Experient. Only approved applicants will receive a hotel room within the SelectUSA room block. Approved applicants will receive a confirmation email with instructions on how to book a hotel room. Rooms are booked within the SelectUSA Investment Summit registration system. The approval email will provide instructions about the hotel booking process. Once a hotel room has been booked, guests will receive a four-digit guarantee number (e.g. 1234) via email from Experient. Please note, this is NOT the Washington Hilton confirmation number. If there are any special requests or changes that need to be made, please do so with the Investment Summit Customer Service Team using this four-digit guarantee number. The final hotel confirmation email will be sent to the address that was provided during the registration process between June 3 and June 5. Please check your spam folder if you do not receive a registration confirmation email. Note: If you need to make any changes to a confirmed hotel room, please send the change requests to the information on the contact us page. 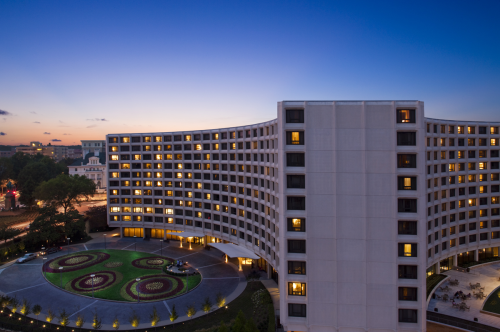 Attendees seeking rewards for their stay at the Washington Hilton will be able to input their rewards number when booking their room. Hotel rooms have been secured at the Washington Hilton for the special conference rate of US$251 per day (GSA per diem), plus applicable taxes. The hotel rate is valid until the room blocks are sold out or until 11:59 p.m. EDT on May 17, 2019. Click here to view the hotel floor plan. US$251 per day (GSA per diem), plus applicable taxes. The hotel rate is valid until the room blocks are sold out or until 11:59 p.m. EDT on May 16, 2019. US$269 per day, plus applicable taxes. The hotel rate is valid until the room blocks are sold out or until 11:59 p.m. EDT on June 3, 2019. US$251 per day (GSA per diem), plus applicable taxes. The hotel rate is valid until the room blocks are sold out or until 11:59 p.m. EDT on June 3, 2019. US$251 per day (GSA per diem), plus applicable taxes. The hotel rate is valid until the room blocks are sold out or until 11:00 p.m. EDT on May 16, 2019. Change requests should be sent to the contact information below.